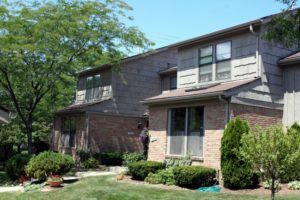 Newport West is a great Ann Arbor complex that is surrounded by beautiful nature; bordering the community is Birds Hill Nature Area which has over 150 acres to enjoy, with hiking and splendid vegetation. There is currently 1 condo listed for sale and so far this year, 3 have sold. $305,000. 2240 Pine Grove Ct., Ann Arbor. 2322 square feet with 3 bedrooms and 2.1 baths. $330,000. 2252 Rivenoak Ct., Ann Arbor. 1885 sq. ft., + 679 in finished lower level, 2 bedrooms and 2.1 baths. $295,000. 2002 Rivenoak Ct. #47, Ann Arbor. 1316 square feet with 2 bedrooms and 1.1 baths. Last year at Newport West, 5 condos sold with an average sale price of $300,500 and an average price per square foot of $190.00. The 3 condos sold this year have an ASP of $295,833, down slightly, and an A$/SF of $187.00, also down slightly. To learn more about condo values at Newport West, contact the real estate specialists with The Bouma Group at (734)761-3060 or email info@bouma.com. View more Ann Arbor condominiums here! 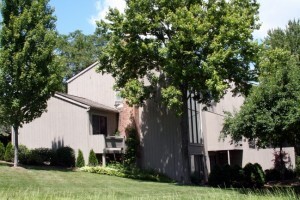 Newport West condos are nicely located adjacent to the Bird Hills Nature Area and within walking distance of downtown Ann Arbor. There are currently 2 units listed for sale and so far this year, 3 have sold. $295,000. 2202 Rivenoak Ct., Ann Arbor. 1316 sq. ft., +1316 in finished lower level, 2 bedrooms and 1.1 baths. $305,000. 2164 Overlook Ct., Ann Arbor. 1696 sq. ft., +469 in finished lower level, 3 bedrooms and 2.1 baths. $300,000. 2232 Rivenoak Ct., Ann Arbor. 1885 sq. ft., +700 in finished lower level, 3 bedrooms and 3.1 baths. $280,000. 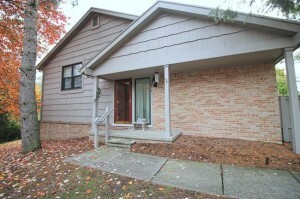 2202 Pine Grove Ct., Ann Arbor. 1316 sq. ft., +1000 in finished lower level, 2 bedrooms and 2.1 baths. Last year, 9 condos sold with an average sale price of $288,069 and average price per square foot of $184.00. The 3 condos sold this year have an ASP of $295,000, up slightly, and an A$SF of $184.00, the same. For more information on values at Newport West, or if you are thinking of selling your Ann Arbor condo, contact us at The Bouma Group, Realtors today at 734-761-3060 or email info@bouma.com. 1618 square feet with 2 bedrooms and 2 baths. Vaulted living room has sliding glass doors to the large, 20’x30′ deck. Walk-out lower level features a family room, cozy fireplace, and full bath. For more information on 2210 Rivenoak Ct. or to schedule a private showing, contact the real estate specialists with The Bouma Group today at 734-761-3060 or email info@bouma.com. See photos, amenities, market statistics and more for Newport West here! Newport West Condos, Ann Arbor are situated on the west side of town within walking distance of downtown and all it has to offer. 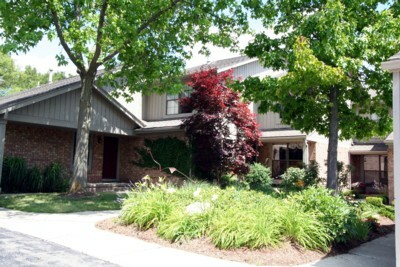 These spacious Ann Arbor condos have a beautiful, natural setting and are near many parks. There are currently 0 condos listed for sale and in the past 12 months, 5 condos sold and 1 was rented out. $2000/month. 1270 sq. ft. +412 in finished lower level, 2 bedrooms and 2.1 baths.